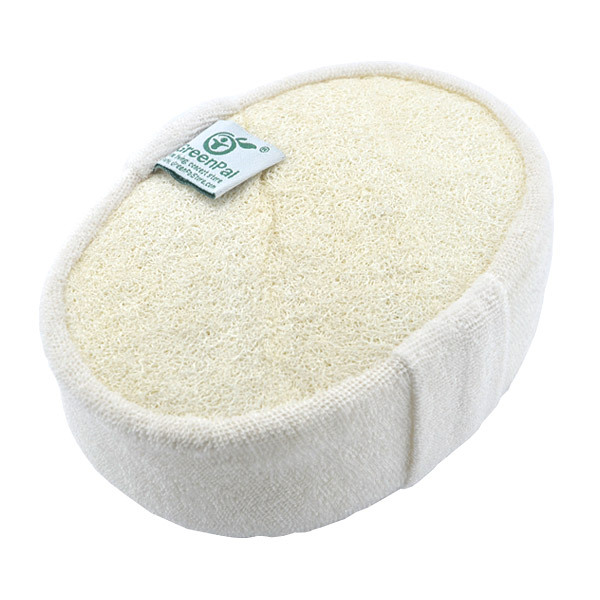 Soya Bean & Loofah Oval Bath Sponge is made with natural soya bean fiber and loofah. With the perfect combination of both soya bean and loofah, the soya bean fabric provide softness and smoothness of "cashmere" feel like on your skin. And, The natural loofah gently scrubs your skin for a clean and refreshed feeling! Loofah is also a great exfoliator that will help remove dead skin cells to leave your skin soft and smooth. Also helps stimulate your circulation. It's the perfect partner for your bath routine. Made with natural Soya Bean fiber and Loofah. Internal part made with Polyethylene (PET) (recyclable and has the number "1" as its resin identification code).